What is the mechanism of action of Adenosine in AVNRT ? Adenosine is a purine analogue. Acts by stimulating outward K+ channel of AV nodal tissue, more specifically in the posteriorly located slow pathway in the vicinity of coronary sinus. Another action of adenosine is inhibition of cAMP , which is similar to beta blocking action may also help in terminating the tachycardia. Termination is usually abrupt . Transient VPDs are observed during termination. If the patient is taking Aminophylline group of drugs (Which are adenosine antagonists) the AV nodal blocking action may be neutralised . Unusual coronary arteries : When circumflex squarely beats LAD ! See how this LCX gets bulk of the blood flow from Left main and no doubt this man came with NSTEMI and LAD region ischemia while his posterior circulation is comfortably placed with excess blood. Note: The diameter of LCX even exceeds left main in certain segments. One suggested formula (not validated ) is diameter of LCX + LAD will be at-least 150% of left main diameter . This amounts to 50% gain in diameter as it bifurcates . What is the implication of unequal bifurcation Left main ? Hemodynamically there could be diversion of flow into a larger orifice .But ultimately since the blood flow is determined by the resistance arterioles at myocardial bed there may not be any practical significance . In pathological situations there could be a some impact due to stealing . 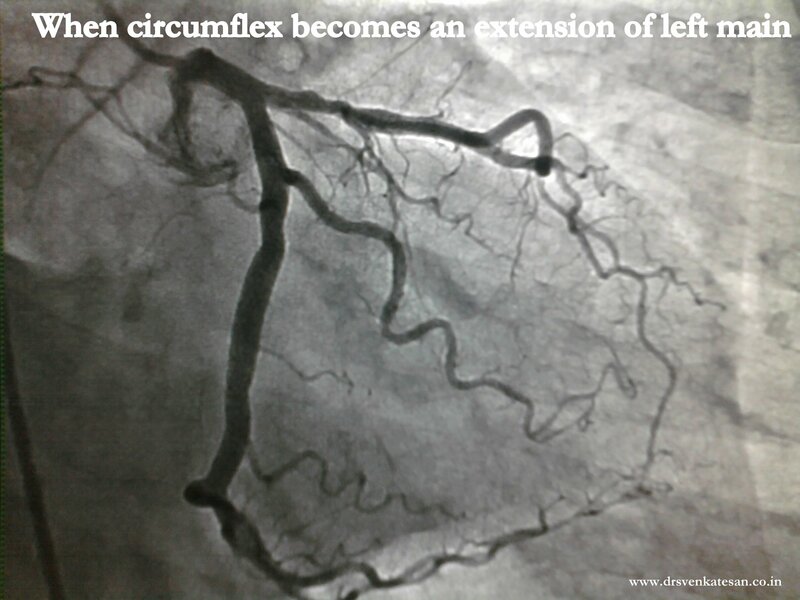 Large LCX is more common with left dominant circulation . When atheroscerosis experiments “chaos theory” destruction is complete ! Coronary atherosclerosis can strike an artery with variety of lesions.It can be any of the following. Rarely a coronary artery is blessed with all of the above characters , added with homo and hetero collaterals . . . resulting in Atherosclerotic chaos ! 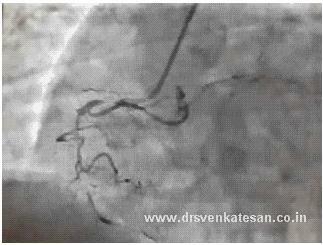 How to you report the above angiogram ? What can be done ? We do not treat an angiogram. We need to know the clinical background. (This is a 50 year old man with chronic stable angina ) He also had a lesion in LAD and was advised CABG with grafts to LAD and PDA. Is PCI possible in such a vessel ? Most would agree , it is a crime to think about PCI in the above vessel. Still , few hard-core interventional cardiologists may vouch for success in this vessel ! Is there any alternative management other than CABG in this vessel ? Leaving it alone can be an intelligent strategy . (If LAD is normal it may be the best possible management) . But , CABG will remain a default choice. But , when a person is having such a rampant atherosclerosis he is at high risk for pre- mature graft disease as well. Hence , intensive medical management will be the key in such patients irrespective of any revascularization procedure. How do you know your coronary circulation has the blessings of God ? Coronary collateral circulation can be termed as one of the mysterious circulation in our body.Cardiologists generally do not give much importance to it and some interventionists even ridicule it ! . But , God has given it , with a purpose. He adds a riddle though ! .Collaterals grow in almost every individual when obstruction occurs gradually ( chronic coronary syndrome ) but only in a few , it will open up during a real emergency like ACS ! How and why , only few of us can recruit coronary collaterals during acute occlusion ? God blesses acute coronary collaterals only in selected few , who are on the right side of his good books .This can be the other name for our destiny ! Role of coronary collateral circulation in acute coronary syndrome. Is there a simple method to identify people who are blessed with acutely recruitable collaterlas ? I am afraid it is almost equal to asking for a glimpse of GOD ! Wait . . . when we were on cath lab few days ago a stunning phenomenon happened that could pave way for identifying potential acute collaterals in any human being. Follow this site . . .the details will be posted ! Hypertensive response to exercise stress test and risk of future stroke ! Hypertension ranks number one in the risk for future stroke . Surprisingly this is true for ischemic as well as hemorrhagic strokes. What causes thrombosis or rupture of small cerebral arterioles ? It is somewhat similar to coronary events . ( With one major exception, coronary vesels are not prone for rupture ) .It is believed sudden spikes of blood pressure and the resultant endothelial injury are responsible. Atherosclerotic plaque fissure and inflammation also contribute. Is embolic stroke related to hypertension ? Systolic , Diastolic or Mean pressure which is important in the genesis of stroke ? All parameters are important , but the systolic blood pressure is vested with more vigour to damage the cerebral arterioles. The reason systolic pressure is more important lies in the fact , it can attain high pressure peaks instantly , unlike diastolic or pulse pressure which slowly builds up. Further , systolic BP carries leading edge of the pressure curve with high Dp/Dt and hits the target first ! At what pressure the cerebral artery becomes uncomfortable ? We do not know the answer as yet , but any systolic pressure above 180 mmhg is a huge stress for the cerebral arterioles.The rapidity with which the BP raises (Dp/Dt) also becomes important . High blood pressure increases the shearing stress .It interferes with nitric oxide synthesis and promotes endothelin release which precipitates cerebro vascular event. How do you identify people who are at risk for stroke ? While cardiac physicians are obsessed with exercise stress test to predict CAD very few are worried about stroke . In fact the same exercise stress test can be used to stratify stroke risk. The exercise induced systolic blood pressure raise is a useful risk stratifying tool. This concept is there for more than a decade without reaching the clinical domain. 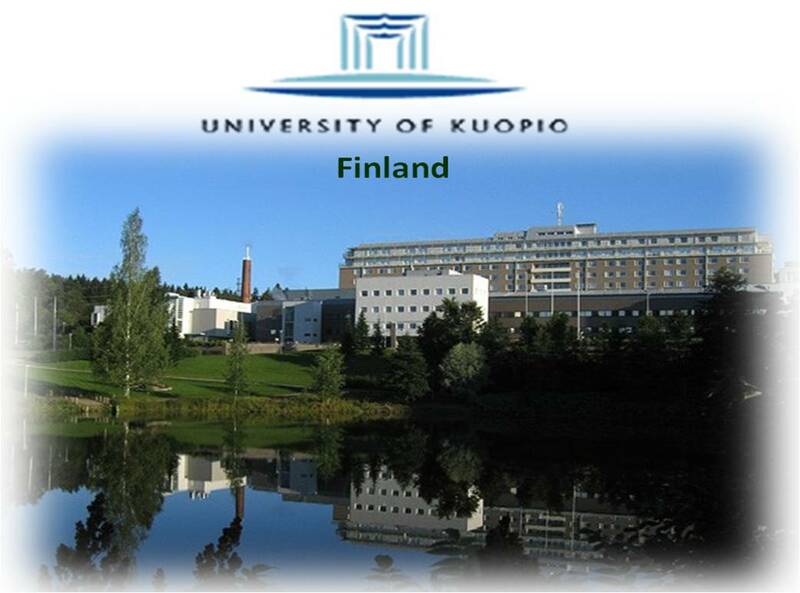 The following paper was published in stroke journal (2001) from the picturesque university of Kupio Finland. (See below ) It is a wonderfully done study and throws great insight into the new emerging science of Intra cerebral hypertension . Raise of 20 mmhg SBP at 2 minutes . Increment of > 20mmhg in SBP any subsequent minute. Failure to reach baseline SBP at 6 minutes recovery . SBP or DBP remaining high even after the heart rate reaches baseline. For the kind attention of all cardiac physicians . . . whenever you do an EST for a cardiac indication , please spend the first few minutes carefully ,and look at the blood pressure response . It is encouraged , to specifically mention about the behavior of SBP and write a remark about the propensity for stroke in every EST/TMT report . Let us grow our brain sense as well . . . for the sake of our patients ! Thanks again to Dr S.Kurl et all from Finland for their nice article which stimulated me to write this post . How common is stroke following a EST procedure ? Can high blood pressure dislodge a carotid plaque during a stress test ? Confronting Sgarbossa criteria from chennai ! Left bundle branch block (LBBB) has a curious but important relationship with STEMI . LBBB inflicts a dramatic change in qrs morphology with a diagonally opposite polarity of ventricular activation . This masks the initial qrs vector and makes it a difficult task to diagnose acute MI in this setting. The ST segment which is of primary importance in STEMI is lifted up due to altered repolarization . While every one of the above can be experienced , the most common diagnostic conundrum occurs , when a patient comes with acute chest pain and LBBB . There has been many criterias suggested to diagnose STEMI in the presence of LBBB. In the past 15 years , our experience in one of largest coronary care units in India , we have found this criteria to have little utility value in STEMI and LBBB . Most of the time a correct diagnosis was made by simple clinical guessing . Next to clinical assessment, we found cardiac enzymes (Troponin and CPK ) were reliable in diagnosing STEMI with LBBB. Even as our CCU documentation was far from satisfactory , now this article from Mayo exactly reflect our observation. Dual or triple preexcitation : Can type A WPW pattern convert into type B WPW in the same patient ? WPW syndrome remains as a fascinating ECG entity , ever since it was described by Wolf , Parkinson and White in the year 1930.It is primarily a disorder of cardiac embryology . Heart is an organ made up of tissues from mesoderm and neuro ectoderm.The muscle which comes from mesenchyme has to be incorporated with specialized conducting system. This is a complex process .It is determined by the bio-genetic forces. When errors happen in the embryonal tissue flow congenital anomalies occur. In WPW this error happens exclusively in the conduction tissue movement . Normally the specialized conducting system pierces the entire AV ring and connect atrium and ventricle .Later , it regresses in all areas except in the AV nodal zone . When It fails to regress , these remnants of conductive tissue act as AV accessory tissue and create electrical short circuiting .This is the reason , all these pathways are located in the close vicinity of AV ring. Accessory pathway shows varying conduction velocity , but generally devoid of decremental conduction properties . The presence of such pathways make these individuals prone for variety of cardiac arrhythmias .It can range from simple AVRT to malignant antidromic AVRTs that can end up in VT /VF. Resecting these pathways surgically was once popular. Effective blocking of the pathways with drugs is a good option. Currently , it is possible to locate and ablate most of these pathways successfully. Even though there are many protocols to locate accessory pathway the one that is very popular is simple Type A and type B WPW , which locates the pathway either in the left or right ventricle respectively. Huge data base has been accumulated over the past 80 years regarding WPW syndrome, still many questions are unanswered. One of the important clinical issue is multiple accessory pathways , scattered at random across the tissue planes of atrium and ventricle . The other issue is intermittent pre-excitation and shuffling of path ways during tachycardia . It is very rare to see a patient who manifests both Type A and type B pattern during sinus rhythm .Here is an article from unexpected quarters , Colombo Sri-Lanka in the year 1972 candidly describes a patient with classical combination of Type A and B WPW . It is great to see such an interesting observation in the pre EP/Echo era from a remote island nation. Can a pre-excitation happen simultaneously in both right and left free wall pathway ? How will the ECG look like when impulse travels over multiple pathway ? 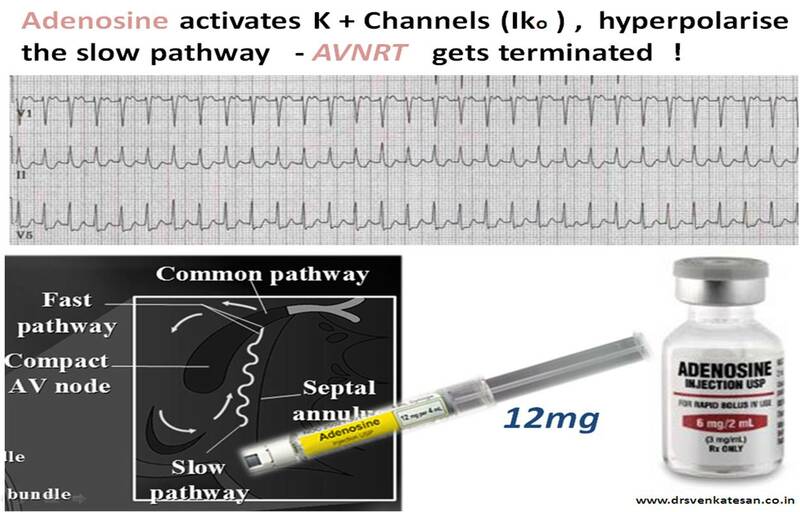 When dual pre-excitation combines with normal AV conduction , will it not make a triple AV pathway ? How does a supra-ventricular impulse decide , which pathway it is going to travel when confronted with a choice of three or four pathways ? How do you plan ablation for such a patient ?